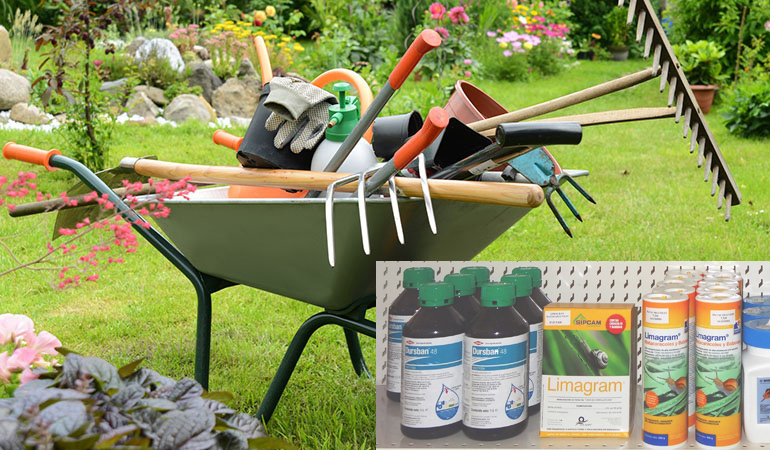 Fungicides and insecticides broad expectro, nutritional deficiency correctors, seeds of different varieties of lawn, garden tools on top brands, all kinds of scissors, shovels, rakes, brooms, biodegradable rope, gloves, goggles, etc. Backpacks spraying. I accept the legal terms of the page.